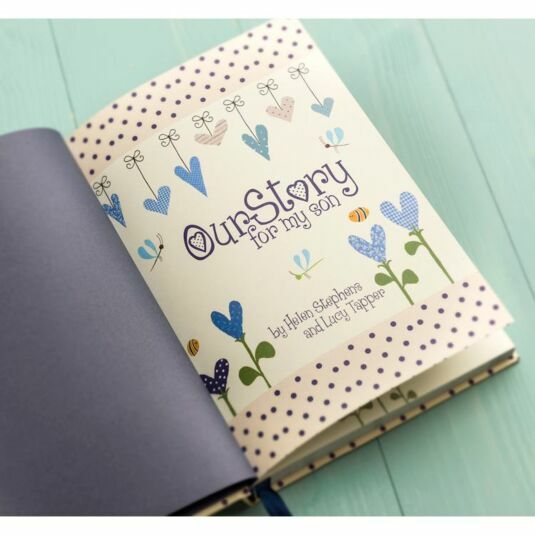 Our Story - For My Son is an especially designed journal to inspire parents to capture the unique story of their son's childhood, from early baby memories through to their eighteenth year together. 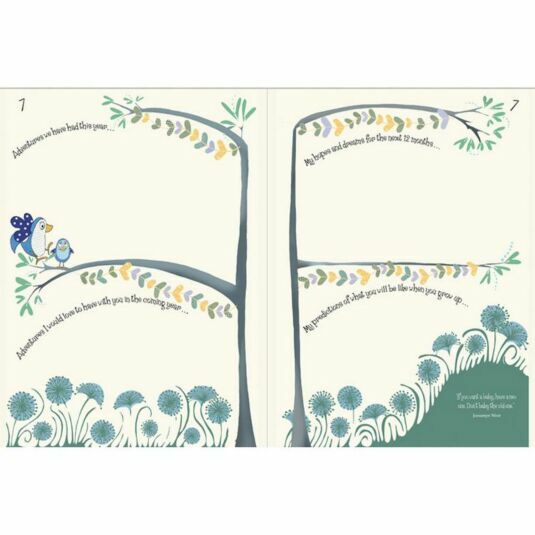 Colorful and beautifully illustrated, this journal is created around a baby bird that grows up each year until it is ready to fly the nest. 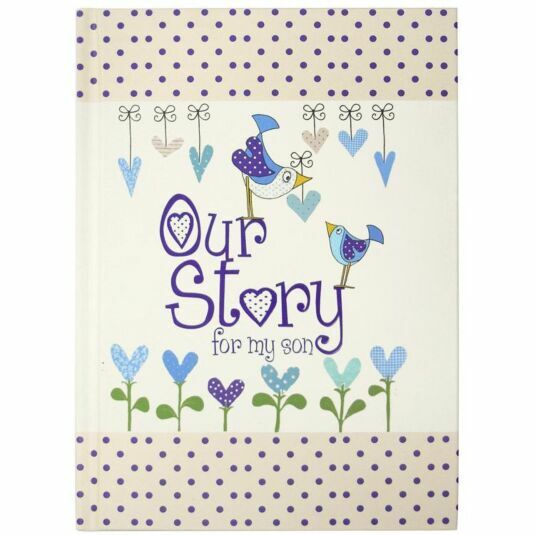 With spaces for photos and memorabilia, Our Story - For My Son provides prompts to help parents chronicle amazing family experiences and unrepeatable moments like the child's growth, development and personality, precious family memories, and the wonderful emotional journey. 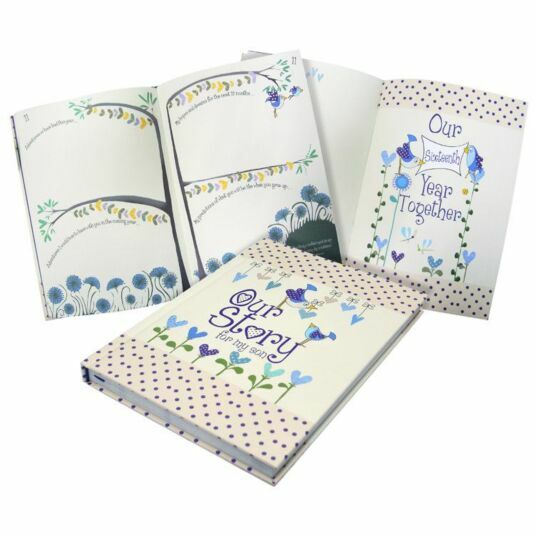 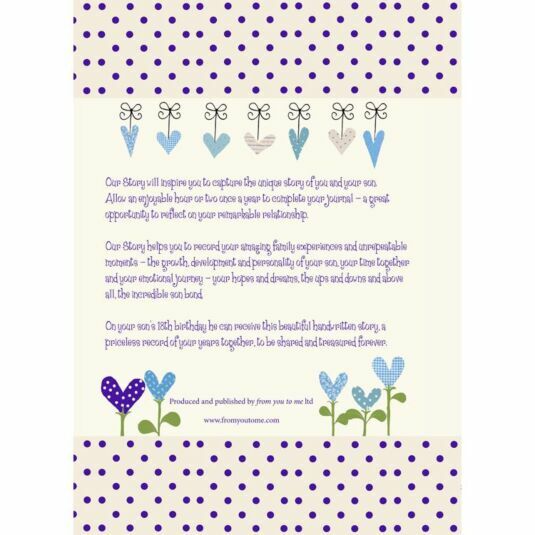 Once completed, the journal may be given as a gift to the child - a priceless gift to be shared and treasured. 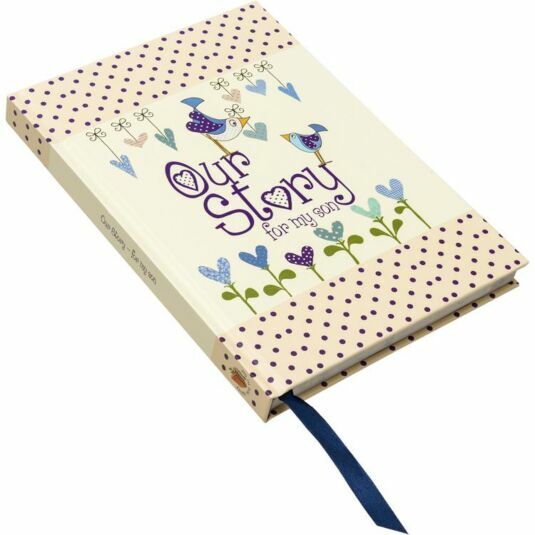 The journals are hard back, case bound with a coordinated ribbon marker, size 240mm x 170mm x 20mm with 160 full colour pages made from sustainably sourced 140gsm uncoated paper.